Disaster Recovery Plan: Is your business prepared for an unpredictable Atlanta Winter? 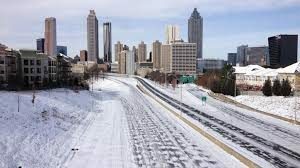 Home > IT > Disaster Recovery Plan: Is your business prepared for an unpredictable Atlanta Winter? 04 Feb Disaster Recovery Plan: Is your business prepared for an unpredictable Atlanta Winter? What would happen if a winter storm hit your business today? The extent of damage and downtime your business incurs is dependent on how prepared you are for the unpredictable winter. What is your disaster recovery plan? Plan, Plan, Plan, and Plan Some More. It’s good to be ready for the worst. Plan everything and be prepared to implement. Involve all your employees so that they are aware of what is expected of them. Design an IT Disaster Recovery Plan. IT systems require software, connectivity, and hardware all of which should be running for the system to be efficient and effective. Staff should be equipped with hardware components such as tablets, laptops and wireless devices that allow them to work from home. To avoid losing any critical data all information should be backed up to a cloud which allows easy recovery and promises business continuity. Employ the Right Technology In and Out of The Office. It is essential that your staff access work servers remotely and have a good internet connection to enable them to work from home on days they cannot get to the office. Make sure your backups, applications, and business data are stored off-site. Keep Communication Lines Open. Investing in a good business phone ensures open communication throughout the bad weather. Consider moving your phone service to the cloud to ensure customers and employees never get a busy signal when calling your business. There’s a lot to love about Atlanta but winter is not one of them! These technology recovery strategies will help keep your business from data and operational downtime. Contact Digital Agent to assist you to design a customer-made technology disaster recovery plan that will help you restore your technology infrastructure and back up critical data in case of a winter catastrophe.